There will be over 500 brands to work through at this year’s Baselworld, plus Swatch Group, Fossil Group, Festina Group, Movado Group and many more are exhibiting their 2019 collections to retailers, customers and press at other events. It is harder than ever for executives to see all the watches they might sell this year, so WatchPro has done some of the leg work for you in this A to Z roundup of what we know is launching at Baselworld and Beyond. In this first part of three, WatchPro walks you through 2019 novelties from Alexander Schorokhoff to Frederique Constant. 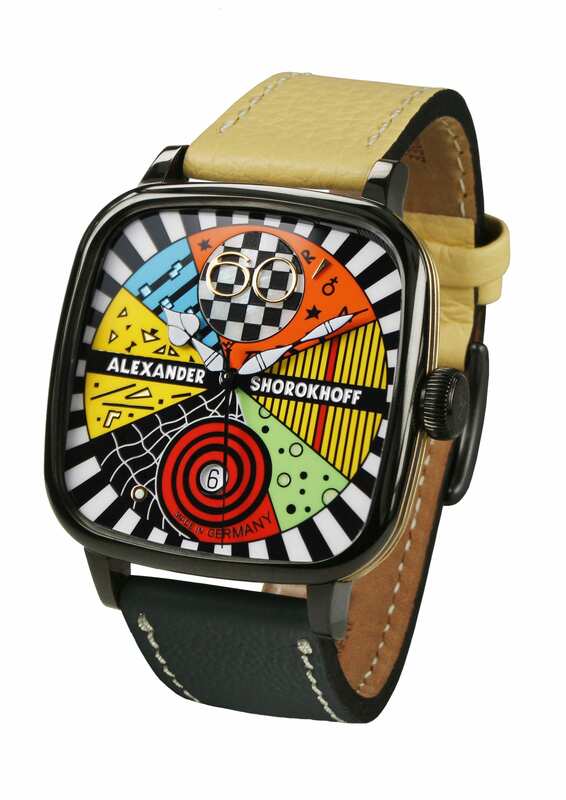 Alexander Shorokhoff is releasing a successor to its award winning Kandy Avantgarde. It was first shown at a show in Germany in February. The first model won the German design award for 2019 and sold out in a short space of time, something the brand hopes it can do again. The Kandy Avantgarde 2 has the same movement as its predecessor, the ETA caliber 2892, and offers hours, minutes, seconds and calendar functionality. Limited to 100 pieces, it comes with a calf leather strap. It will go on sale later this year priced at the equivalent of £2,619. 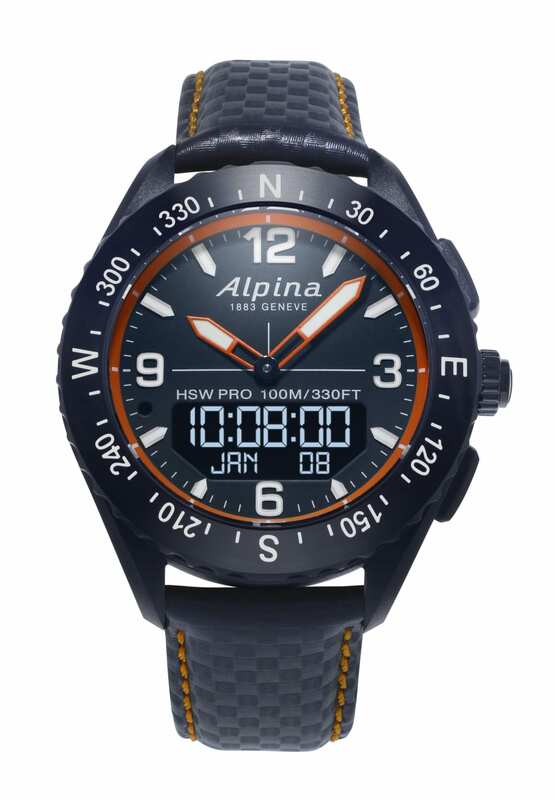 Alpina has called on the wisdom of crowds for a second consecutive year by asking the Kickstarter community to design their own smartwatch from more than 11,000 options in an online configurator. The four most popular combinations are being made and released worldwide at Baselworld. The resulting range of AlpinerX smart outdoors watches have heart, sleep and step rate monitoring and display important adventurers’ information such as UV levels, temperature, altitude, pressure and North direction from the tethered AlpinerX phone app. They have fiberglass cases with steel backs in order to be lightweight and comfortable on the wrist. 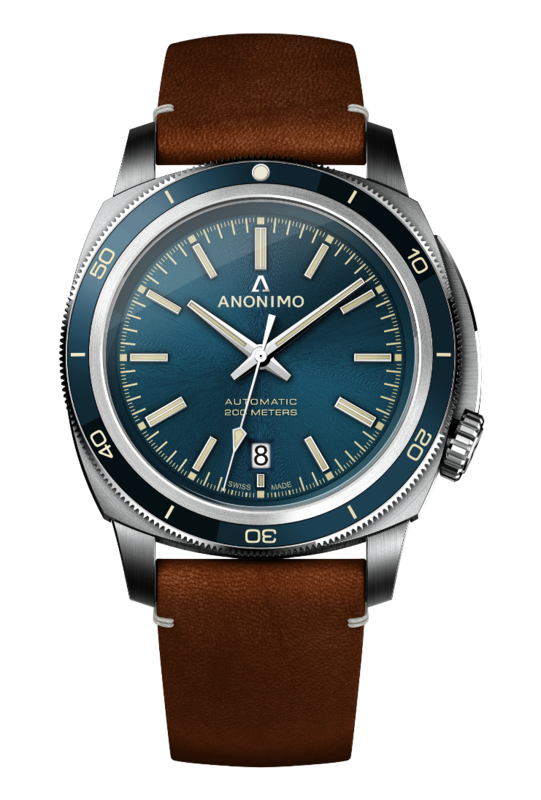 Anonimo will unveil a recreation of its Nautilo at this year’s Baselworld. Following on from the Epurato’s more classical look last year, the brand has come up with a Nautilo Vintage version for this year’s trade show. The Vintage version is available in a diameter of 42mm and comes with a signature blue dial. Nearly 15 years after the first appearance of the famous diver’s watch, the Nautilo still has its screwed crown situated at 4 o’clock. Its dial has been remodeled and can be seen through the convex sapphire crystal while the unidirectional bezel gives the Vintage model a blue ceramic insert that protects the watch from scratches. Water resistant to 200m, the Nautilo Vintage has the date located at 6 o’clock and is powered by a Sellita SW200-1 automatic movement. The new model is set to retail for the equivalent of CHF 2,290. Baume, the business launched by Richemont in May last year as a youth-oriented brand, is introducing a limited edition watch in collaboration with French ski label ZAG. The aim is to appeal to environmentally-sensitive millennials with timepieces made from recycled ski parts. 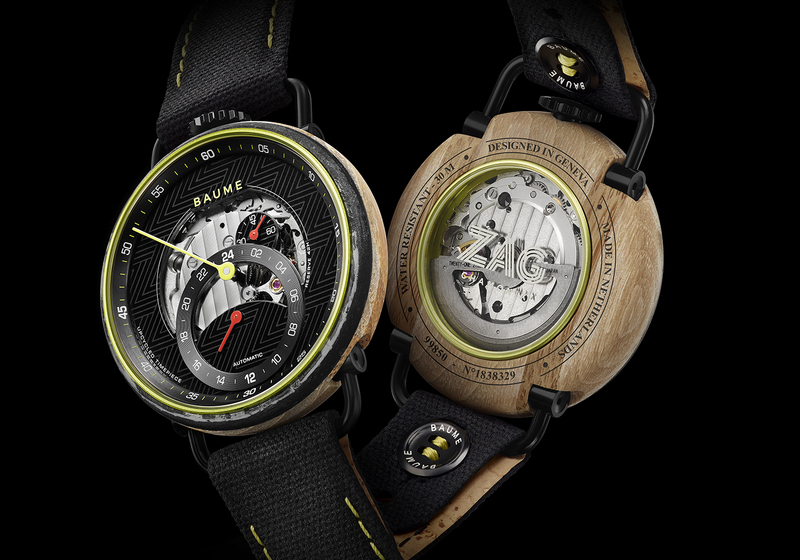 The BAUME x ZAG watch will use an automatic Miyota movement in a 42mm case made using excess wood and carbon rescued from the waste material from the production of ZAG skis. 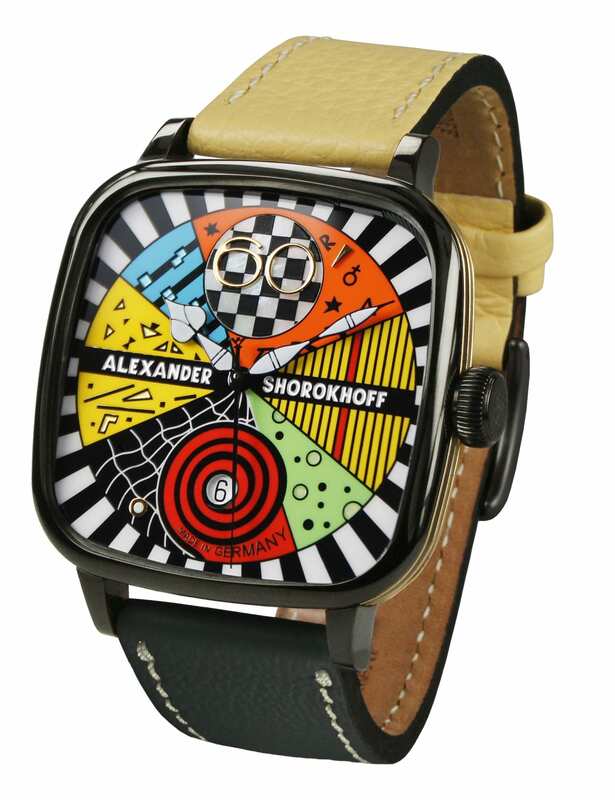 They have two interchangeable straps: a black version with cork lining in natural and yellow stitching, and a yellow version with black cork lining and black stitching. The yarn in the bracelets is made from recycled plastic bottles fished from the oceans by NGO Waste Free Oceans. Only 100 pieces will be made, priced at around $1300. 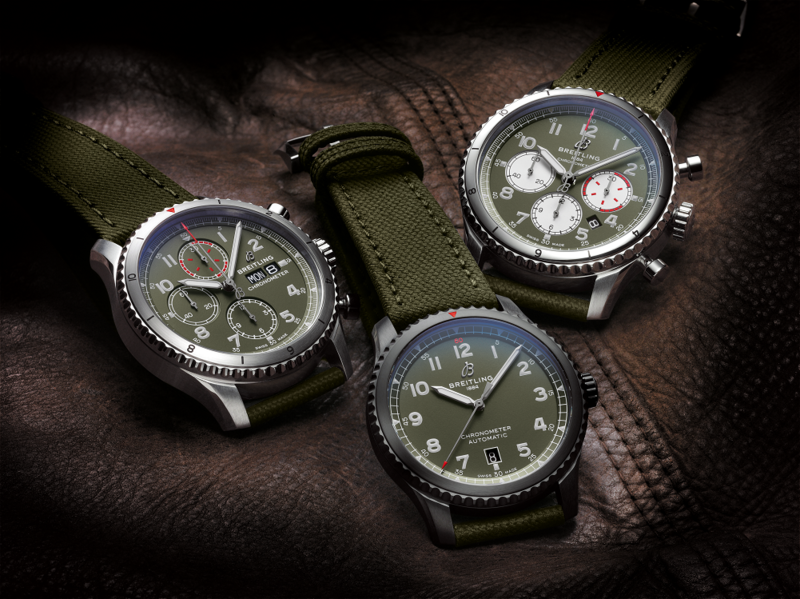 Breitling is honoring the iconic Curtiss P-40 Warhawk World War II fighter jet with a family of three additions to its Aviator 8 family. There are two chronographs – one using the Breitling Manufacture Caliber 01 movement, the other housing a Breitling Caliber 13 – along with a three hand automatic driven by a Breitling Calber 17. The top of the line Aviator 8 B01 Chronograph 43 Curtiss Warhawk comes with a military matte finish green dial with contrasting silver subdials. Its crystal caseback is inscribed with an image of an airborne P-40 Warhawk complete with its shark’s mouth on the nose cone. 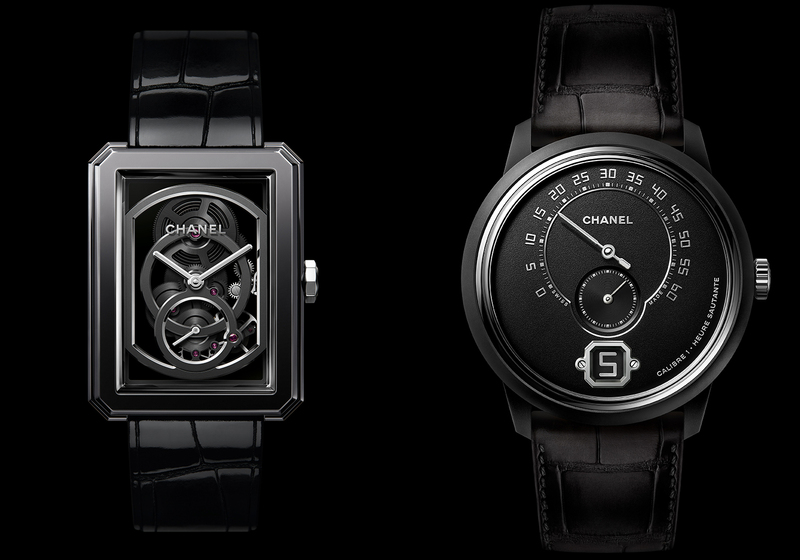 Black has never been a dark color to the world’s finest watchmakers, and Chanel will no doubt be eyeing its commercial potential as it unveils three noir collections ahead of Baselworld. However, the connection to the death of the maison’s iconic creative director Karl Lagerfeld in February is hard to ignore with the introduction of all black models of Première, Boy Friend and Monsieur De Chanel timepieces. Horologically, the Monsieur De Chanel is the pick of the preview collection, with its 42mm black ceramic case housing Chanel’s inhouse Caliber 1 hand wound movement driving the watch’s instant jumping hour and retrograde minute hand on its matte black dial. Only 55 of the watches are being made. Chanel’s Première has been given a rock-and-roll makeover with an all black ADLC-treated strap and case, and lacquered dial. The quartz watch is worn on a triple row black steel chain bracelet interwoven with black leather. Again, it is a limited edition of just 55 pieces. It is hard to say whether Chanel’s Boy Friend is bought by boys or girls. Its 37mm x 28.6mm octagonal case is the perfect gender neutral size. An Edition Noire model for 2019 (limited again to 55 pieces) uses a skeletonised Caliber 3 movement in a polished black ceramic case. Bremont has secured a partnership with the Ministry of Defence that makes it the only luxury watchmaker with permission to use signs, symbols and Heraldic Badges from all three branches of Britain’s armed forces — the Royal Navy, British Army and the Royal Air Force — on its timepieces at the same time. The agreement builds on a long history of working with the military on special watches for armed forces personnel carrying individual markers from their service units. “The fact that so many British military personnel from across the three forces have chosen to privately buy bespoke Bremont watches as a means of demonstrating their pride for the regiments, squadrons and ships companies in which they serve has long been extremely humbling to us and we are, of course, immensely honoured to now be an official partner of Her Majesty’s Armed Forces,” says Bremont co-founder Nick English. 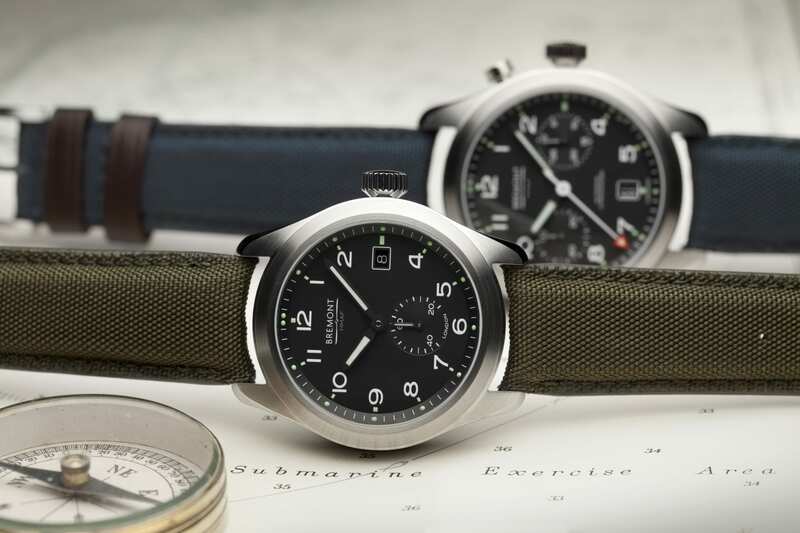 To launch the new partnership in 2019, Bremont has developed the Armed Forces Collection which comprises three MoD-inspired chronometer-rated timepieces produced at the company’s headquarters near London, UK. The collection draws inspiration from the original ‘Dirty Dozen’ watches, a series of timepieces commissioned for the British Army during WW2 when Britain’s Ministry of Defence needed watches to issue to military personnel and revered by today’s vintage watch collectors. The Bremont Broadsword is a contemporary chronometer-rated watch in a 40mm hardened steel case. Multiple layers of luminous paint on the hands and dial adhere to original specifications for the British Army. The Arrow is a 42mm cased mono-pusher chronograph housing the BE-51AE movement. The Arrow plays on the same British military DNA as the Broadsword but is aimed at the airman with its stopwatch function a necessity for any timed mission. Last up is the Argonaut, a name inspired by Greek mythology and synonymous with Navy history. The 42mm steel dive watch, houses a three-handed chronometer rated BE-92AV movement with a highly legible orange minute hand filled with Super-LumiNova. Bremont’s partnership with Her Majesty’s Armed Forces does not affect other licensing deals with Breitling or Casio. Edox is marking its continuing association with the XCAT offshore powerboat racing series with the release of the CO-1 Carbon Chronograph. 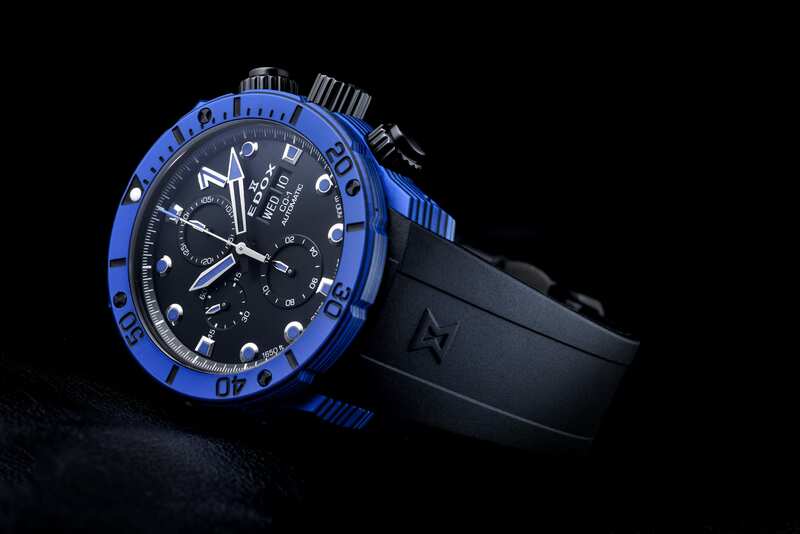 The blue version of the watch has been released in partnership with Team Australia’s powerboat, which is capable of speeds of almost 200km/h. The 45mm carbon and steel watch uses the self-winding Edox Calibre 011 based on Sellita’s SW500, which is visible from the front and back through crystal glass. The watch will sell for €2,980 and is also available in black, gold and red. 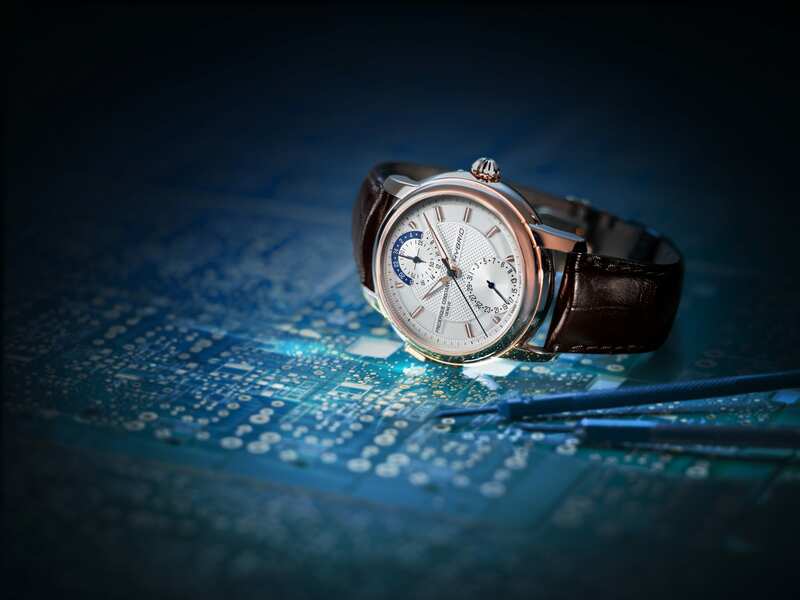 Frederique Constant’s Hybrid Manufacture will come in three new models and two dials versions when the 2019 models appear later this year. The watches dominate an emerging watch category where traditional Swiss mechanical watchmaking meets modern connected smartwatch functionality. They have automatic movements with a smartwatch module that gathers data like step counts with a connected smartwatch app, and receives messaging notifications in the other direction. Since last year, the watch has also had its own self diagnostics system that measures rate, amplitude and beat error of the manufacture automatic movement and displays the results in the phone app. This year there will be a silvered dial for the polished stainless steel model, a rose gold-plated version and a navy blue dial in the steel rose gold-plated watch. Prices start at CHF 3,250.